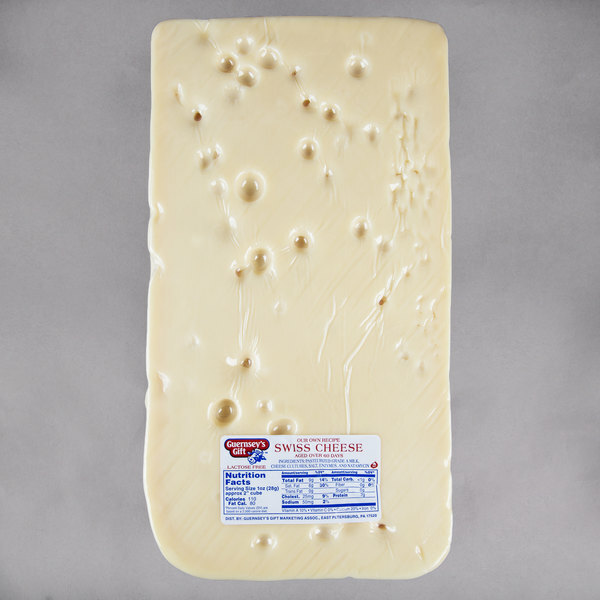 This cheese comes in a long, 12 lb. block and is sealed in durable plastic wrap to preserve its freshness. 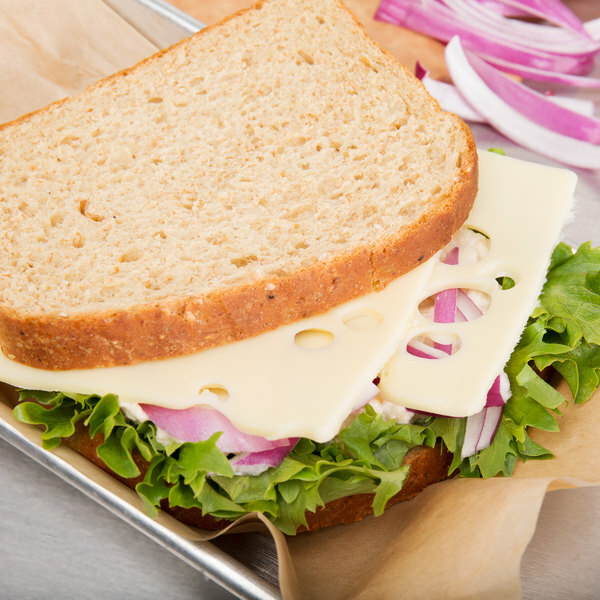 This cheese is made with natural ingredients to bring out the best flavors in your food, so you can feel confident you are serving the best to your customers. Extremely versatile in its application, its semi-hard consistency can be cut into cubes, grated, or sliced thin for sandwiches. 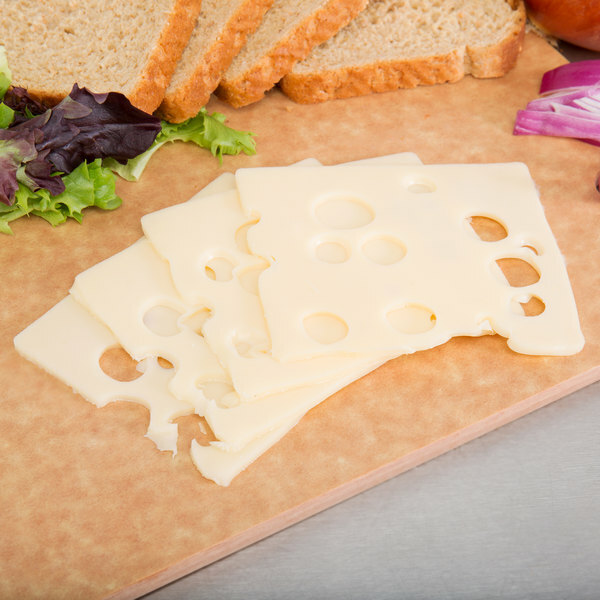 Whether it's used as a topping, garnish, or a standalone snack, this Swiss cheese is sure to be a new favorite amongst your customers.